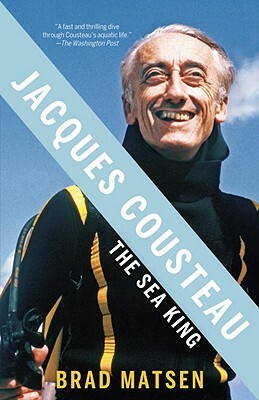 An unprecedented and masterfully told biography of Jacques Cousteau that reveals for the first time the fascinating and compelling individual behind this famous television personality. Inventor of the aqualung and fearless scuba diver, Jacques Cousteau opened up the ocean to a mass audience for the first time. Here, with the cooperation of many of the subjects closest confidants and family, Brad Matsen makes clear the full picture of his remarkable life, showing the father, military man, inventor, entrepreneur, and adventurer behind the public face. Vividly conveying the people, the science, and the lure of the sea that shaped Cousteau's life, Matsen paints a luminous portrait of a man who profoundly changed the way we live on our planet. BRAD MATSEN is the author of Titanic’s Last Secrets, Descent: The Heroic Discovery of the Abyss, and many other books about the sea and its inhabitants. He was a creative producer for the television series The Shape of Life, and his articles on marine science and the environment have appeared in Mother Jones, Audubon, and Natural History, among other publications. He lives on Vashon Island, off the coast of Washington State.